An exercise bike is basically defined as a popular type of home fitness equipment, which helps reduce burning calories, and gives a better impact on the knees and leg joints. It is a great option for many people with the aim of losing weight and improving health quality. Some people perhaps feel it is not as good as other familiar forms that they often use such as gym, treadmill, lifecycle, etc … in some cases. However, to be honest, each type of products will have both pros and cons. Now, we are going to tell you the reason why it is one of our recommendations to you. First of all, Upright Exercise Bike is known as one type of traditional road bikes. It comes with a small and high seat, unsupported back, front hand position and underneath-body pedals. For users with experience about using exercise equipment, they prefer this one because of the ease to control and movement. Standing up on the upright exercise bike could bring many excited feelings for users. Furthermore, if you want to enjoy the less restriction when exercising, it is a good choice. What else you need? About the price, this type offers a more reasonable price in comparison with the others. It then satisfies all consumer groups on a tight budget. However, a limitation of using this tool is the discomfort of the seat when riding in a long time. Therefore, for the older, people with chronic back pain or other lower back issues, it is a great suggestion to look for other types of exercise bikes. 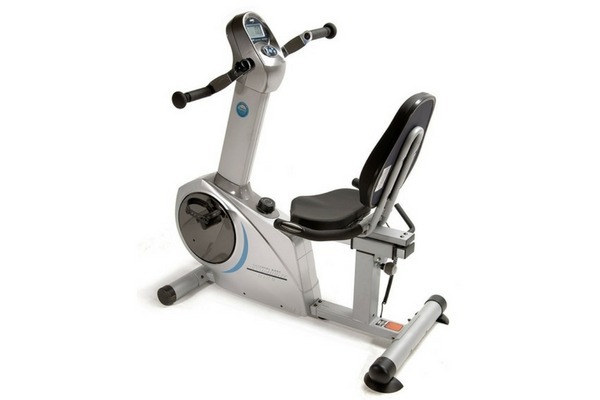 Talking about the second type-recumbent exercise bike, Recumbent Exercise Bike offers the convenience of reclined position, wider seat and a supported back. 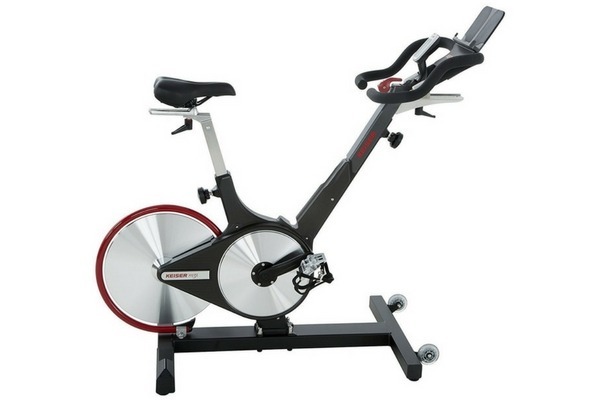 It is regarded as a more comfortable bike than upright exercise bike for many reasons. This might have come from the even distribution of rider weight in a large area and the freedom of hands. It means you can watch TV, read a book, or play one of your favorite games while riding the exercise bike. 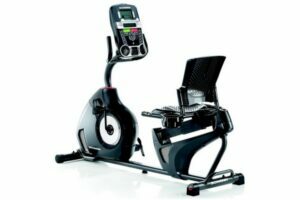 Although recumbent offers a more comfortable usage, it could provide an equal amount of calories as an upright exercise bike. If you want to aim at the relaxation or have back problems, you let pay attention to this effect one. 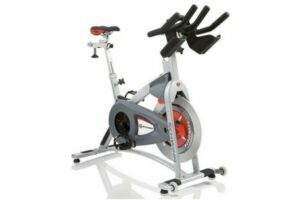 A minus disadvantage when purchasing this machine is quite a high cost and the boring to spend much time on an exercise bike with back support. Another minor thing is it requires a larger floor space to store. Last but not least, Spin Exercise Bike ranks the first option with the ability to produce most workouts. 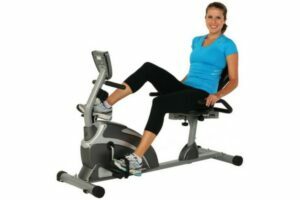 Many people choose Spinning Exercise Bike because of the higher seat, low handlebars, and other supported riding positions. You will find it challengeable to stand up on the spinning exercise bike, which leads to a better motivation and stamina. Especially, for those who have problems with joints, flywheels help reduce the risk of injury. In addition, there is one thing to bear in your mind before you decide to buy this. 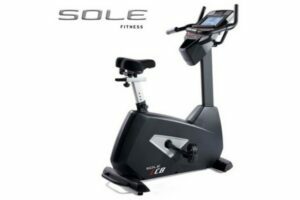 The machine will require large space for storage; therefore, it is important to think carefully about your floor condition to have the best exercise choice. How often you use your exercise bike and what are your exercise goals will decide the fitness type. Considering this matter will help you reduce a waste for a high-price product which is unnecessary. Otherwise, a good bike is equipped with many basic features such as various resistance levels, adjustable and comfortable seat. If you prior the comfort into your first consideration, a bicycle seat cover filled with padding or gel or padded bike shorts to add cushioning will be a good choice. Moreover, wide pedals open the opportunity to all foot sizes, which equips with a strap or toe cage to keep the foot in the place is more convenient. What is more? To track your detailed health statistics, heart-rate monitors, programming options, an LCD display, book rest, and bottle holder should be included in a smart exercise bicycle. On the other hand, if you do not want to hear the nuisance noise from your exercise bike could affect your neighbors and your children, take care of this one. Then we look at stability. The heavyweight leads to the bike’s stability. However, it is not too heavy. And you know, the warranty is another important factor that should be put into your consideration. It strongly proves the strength in case of fixing and needing technician support. A minimum package for one year of warranty is the basic requirement for each type of exercise bicycle. Lastly, average cost for an exercise bike changes from around $100 to more than $900. 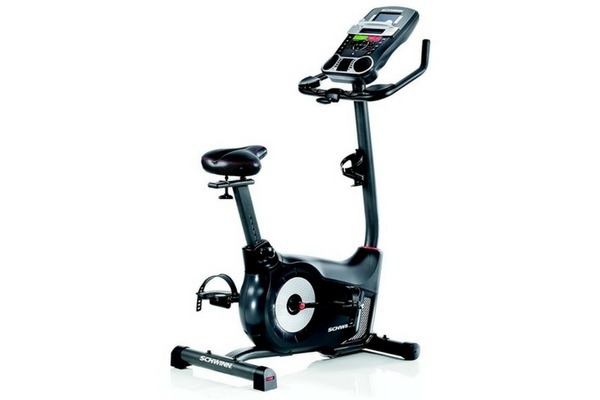 Upright and Spin offer more affordable price than a Recumbent one. 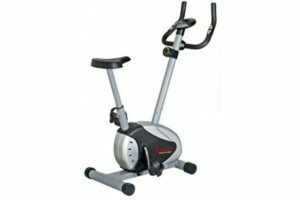 We hope you will successfully find your ideal exercise bikes to improve your and your family health. Good luck!